Recently I heard a financial expert tell his audience “You can change your family tree!” Well, Billy Graham has certainly changed our family tree, for the better. In the early days of his ministry, my grandparents went to hear Billy Graham in Boston. Not long after that, Dad took Mom on a date to hear Billy Graham. They fell in love, were married and raised a family. But, something else happened at that rally. Mom went forward and asked Jesus to come into her heart and be her personal Savior. From that moment, our family tree changed my forever! My parents became more active in church and began assisting many charitable organizations. When Billy Graham came back to Boston, Dad sang in his choir, reenergizing his lifelong interest in music. Dad became the junior choir director at our church and sometimes sang on the radio. Later, we helped at various Billy Graham events along with our children. I also attended some of the Billy Graham schools which he provided free to pastors. A highlight for me was when my family and I helped at the Graham rally in Central Park, NYC. It was a great honor to help at that huge event where we ran into many old friends and enjoyed hearing two of my favorite singers Johnny Cash and June Carter. Last year we were able to take our grandchildren to the Boston Common to hear Billy Graham’s son Franklin right where their great, great grandparents heard Billy Graham many years before. Franklin shared many inspiring stories about his father, but he reminded us how Billy humbly said that “If people stopped praying his lips would turn to clay.” He gave all the glory to God for his ministry and always thanked everyone for their prayers. 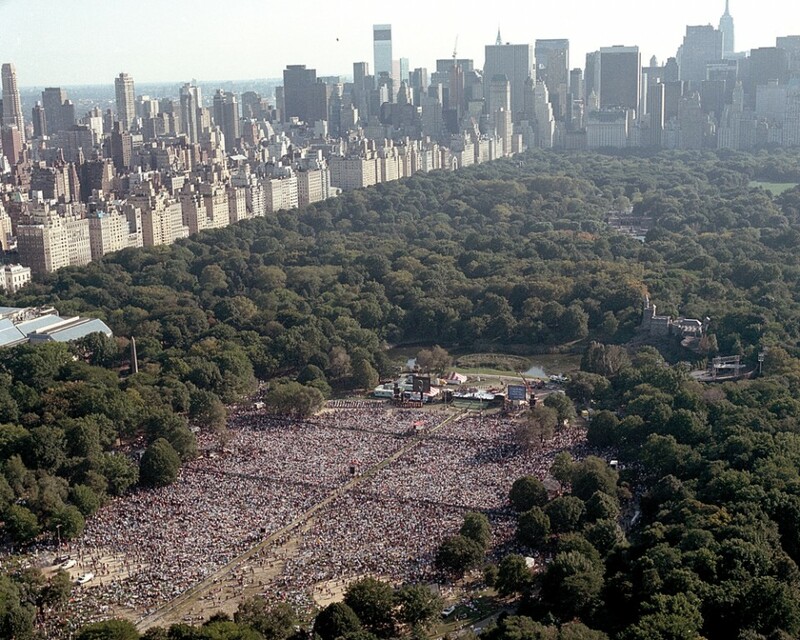 Billy Graham has spoken to more people face to face than any other person in history. God has used his life to change many family trees and help save lives spiritually, emotionally, and physically. He has given many people hope, helped in crises around the world and even built hospitals! Billy Graham’s message never changed over the years. He always spoke of God’s great love for everyone as found in John 3:16. He wanted everyone to know that Jesus died on the cross so that their sins could be forgiven, and that to receive the free gift of eternal life all we have to do is ask Jesus to forgive our sins, come into our hearts, and make us members of His family. We just need to believe in Him and His great love! If you have never made the decision to follow Jesus, this could be the perfect time. If you’ve prayed this prayer for the first time or are renewing your commitment to the Lord, please let us know so that we can pray for you as you start your new life with Jesus. 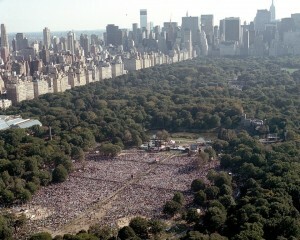 Caption: Thousands gathered in New York’s Central Park in 1991 to hear Billy Graham preach.